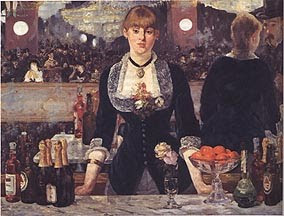 What a great story: cafe concerts for ordinary working families during the Belle Epoque. I love the idea of music halls, of course, also a bit rough and ready. But concert cafes would have been dark, smoky, crowded, rough AND drink filled. Thank you very much, Hels. I would love to be able to go back in time and visit music halls and cafe concerts. I think that it would be best to keep a very low profile at the seedier cafe concerts, though! The singers lived very interesting lives so I'm hoping to write a series about them soon.